Though most people would hate to live in a house that is haunted, there are quite a few properties right here in Phoenix that are valuable simply because they are haunted. If you are looking to check out some incredible history and property and maybe get a bit spooked this Halloween, be sure to check out these spots you just can’t miss. If spooky sites with mysterious pasts give you delightful goosebumps, we’ve got a few places for you. Several buildings around Phoenix have been harboring ghost stories for decades. Tales of spirited encounters have passed from generation to generation, leaving some to ponder what lurks within. With Halloween approaching, here’s a bit of history to cast a spell on your imagination. Where: 113 N. Sixth St., Phoenix. Haunted tale: Talk about type casting, the Rosson House’s Gothic features are ever so alluring as a place that holds secrets from the past. Built in 1895 for a prominent doctor and his family, it operates today as a museum. Many a volunteer or visitor has come away with a slight shudder of wonder. There are stories of a ghost who lingers, stirring hearts with unexplained footsteps coming down the stairs, thought perhaps to be that of the former caretaker in the early 1980s who was shot and killed just outside the Victorian mansion. Where: 33 S. Third St., Phoenix. Haunted tale: Next time you’re in the audience at the Orpheum Theater in downtown Phoenix, keep an eye out for Mattie during the intermission. Mattie, according to Phoenix ghost hunters, is the lady who haunts the historic venue that was first built in 1929. Debe Branning, leader and founder of the MVD Ghostchasers, wrote that the “house” ghost is often spotted by workers in the building across the street from the theater. Where: 202 N. Central Ave., Phoenix. Haunted tale: The Hotel San Carlos is said to be home to numerous ghostly events, most notably the ghost of Leone Jensen, who jumped off of the roof. There are contradictory accounts of how she died. While legend says she was a hopeless romantic who leaped to her death over a broken heart, others say in reality she was suffering from a long illness and wished to end her pain. The Hermosa Inn, which dates back to the 1930s is best known for its restaurant, Lon’s at the Hermosa. Where: 5532 N. Palo Cristi Road, Paradise Valley. 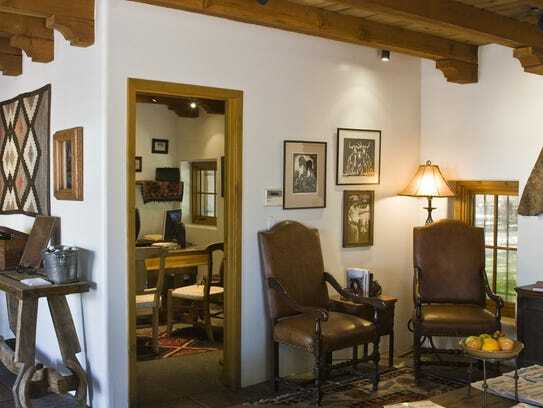 Haunted tale: Visitors report seeing the ghost of the original owner, Alonzo “Lon” Megargee, in the bar and foyer areas of the Hermosa Inn wearing a cowboy outfit. When nobody is around, the toilets flush and bottles and glasses break – perhaps just Megargee continuing on as usual. Where: 3901 W. Pioneer Road, Phoenix. Haunted tale: When Ken Johnson signed on to care for the museum’s 26 buildings, dating from the 19th century to statehood in 1912, he didn’t expect to hear children singing in the old school house. As caretaker of Pioneer Living History Museum in north Phoenix, he has seen an outline of a shadow darting at the Opera House and felt the Victorian House’s icy cold attic in the Valley’s summer heat. Where: One San Marcos Place, Chandler. Haunted tale: Chandler’s famous San Marcos Hotel was built in 1913 and has hosted a plethora of famous guests. Visitors report seeing a female figure, hearing a man moaning and staff receiving calls from phone extensions in the hotel that don’t exist. 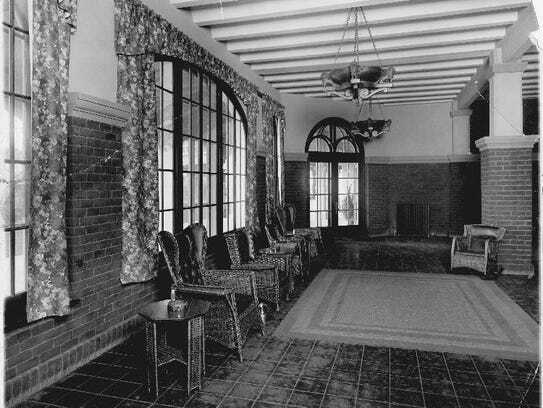 The lobby of the San Marcos Hotel in Chandler as it appeared in its early years. Hotel workers have reported seeing a female figure and hearing a man moaning. Where: 350 N. Arizona Ave., Chandler. Haunted tale: Chandler High School is among the oldest schools in Arizona, founded in 1914, just two years after Arizona became a state. Teachers and custodians, current and former, report hearing and seeing things on the second-floor north wing of Old Main, the school’s oldest building that still stands. One custodian apparently refused to clean that area after experiencing something particularly spooky. Where: 6915 E. Guadalupe Road, Mesa. Haunted tale: In the locker room, the ghost of a young girl is said to linger – she flushes toilets, slams lockers and turn the blow-dryers on. As legend goes, she was killed on the farmland that Highland Junior High School was built on. She may have been killed by her father, who ran her over with his tractor. Some call her Lily. 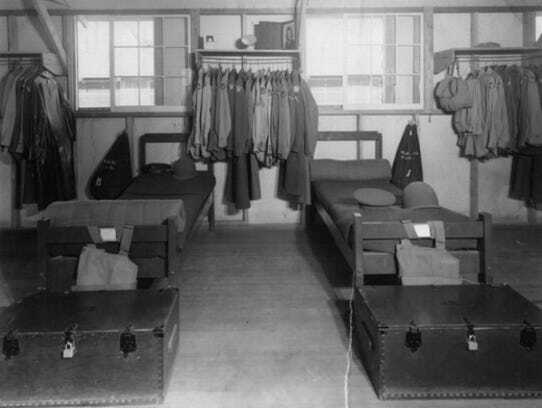 These are the barracks at Williams Field Air Force Base. Some say the area is haunted. Where: 6033 S. Sossaman Road, Mesa. Haunted tale: There used to be a hospital on Williams Air Force Base, and people have reported seeing a male ghost roaming the halls in the former operating room and hearing voices where the officers would gather during World War II. Where: 850 S. Ash Ave., Tempe. Haunted tale: Couples beware: As legend goes, a girl was murdered in an upstairs room at this popular spot, and she expresses her anger whenever there is romance in the air at Casey Moore’s Oyster House. Where: Saguaro Boulevard, Fountain Hills. Haunted tale: A rather morbid rumor alleges that in the early 1980s, a young girl was kidnapped and murdered, and parts of her body were hidden throughout a house on Saguaro Boulevard. Locals report hearing crying, screaming and seeing the little girl by the house, looking scared and trying to run away from something or someone. Where: 9802 N. 59th Ave, Glendale. Haunted tale: If you venture to this park, particularly to the orchards, and Sahuaro Ranch Park’s main house, visitors say you just might see several ghosts, such as an old woman creeping around in an old-fashioned white dress and a man wearing a black suit. Some say that the owner, who lived in the 19th century, still resides there. Grave markers dot the landscape inside Avondale’s Goodyear Farms Historic Cemetery, said to possess “residual hauntings” from the many migrant workers buried there since 1912. Where: 3900 N. Santa Fe Trail, Avondale. 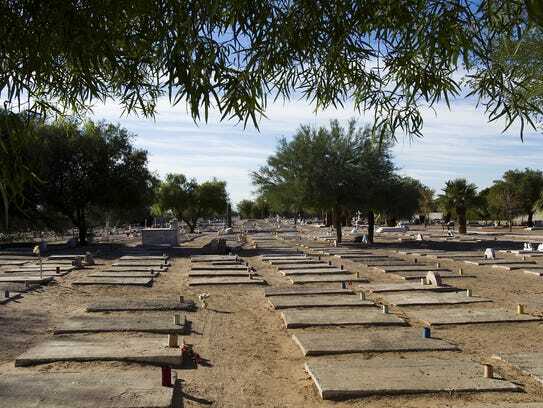 Haunted tale: Lindsay Brown, director and founder of Ghosts of Arizona Paranormal Society, reported strange things happening at Goodyear Farms Historic Cemetery, but nobody is allowed in at night so he has not been able to investigate. His suspicion? It’s the “residual hauntings” from the burials of Mexican immigrant workers since 1912. Where: 18424 N. 51st Ave., Glendale. Haunted tale: Rumor has it that students and teachers have frequently encountered a male ghost, Dewy, in Deer Valley High School’s auditorium. The lights and projectors turn on and off randomly, and people report feeling cold, hearing voices and crying and sensing that they are being watched. Where: 11200 N. 83rd Ave., Peoria. Haunted tale: Out on the school’s catwalk near Peoria High School’s Performing Arts Center, you just might see and hear a ghost. The rumor that it’s the ghost of a student who fell and died there was started years ago by a former theater teacher, according to school secretary Arlene Bruce.